Hello, and welcome to the 2017 Falcon Marching Band! Below you will find a quick reference to some of the most important ways to communicate and receive information in the Falcon Marching Band. If you have any questions at all, please don’t hesitate to contact Mr. Krause. Here are some pointers for first year members. Please wear athletic clothing to rehearsal: Elastic shorts, athletic top (dryfit preferred), socks and gym shoes are the requested gear. We will take water breaks, but you will need to bring your own water. For summer rehearsals, a bottle of water is fine. Please look into getting an insulated jug for camp (1/2 gallon works best). We start every rehearsal on time! That means you need to plan to be at least 15 minutes early to rehearsal. If that is a problem because of a prior commitment or some other issue, please have your parents email me and we will work it out. Drop off is at door 14 at the north side of the building. It will be open! Pickup at 9:00 will be there as well. For those needing a school instrument, contact Mr. Krause as soon as possible. 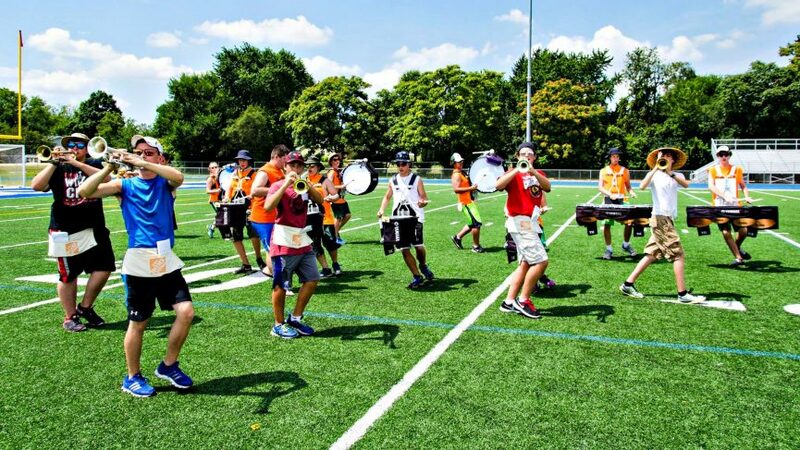 Summer Rehearsals: Summer rehearsals are a recent addition to the Falcon Marching Band. It provides an opportunity for beginners to acquire and sharpen the skills they need for a successful band camp in both marching and music. It also allows students to get to know each other and build the FMB family before camp even starts! Band Camp: Band Camp, however, is a different story! We need everyone to attend band camp (July 31-August 4) as it is the main time frame in which we learn our competitive show. If you have a conflict with band camp, please contact Mr. Krause ASAP.